Florence and Mary: Why the Blogger Beef? Being a blogger is now a job possibility and one that you can earn money to pay your rent, it is an industry but for some reason if you are earning a living from your blog, or take on a sponsored post or two you are being chastised and spoke about like you have jeopardised your integrity. My blog and others when I first started over ten years ago did certainly have a more personal feel than they do today, they were less polished, blog headers were created and shared for free, photos varied from dark grainy snaps to stock images and perhaps more of what would be something like a weekend update to our friends via email, but lets say we were the early adopters of the 'lifestyle blog' but now there is a more professional approach to blogging and money has become involved and that appears to be a problem. The content of my blog back in the early days and those I read was of a vintage, home making nature with a heavy focus on crafts. We shared books we loved, recipes and in many cases there were bloggers creating items which would be sold via blog shops or as early adopters of Etsy. I was no less inspired back then to make purchases from other bloggers than I am today, the only difference now is that instead of Martha Stewarts' latest book it's a lipstick from Charlotte Tilbury and chances are the link I clicked was an affiliate link (as these two are) or maybe the blogger was paid to promote the brand. Today's rambles are inspired by the above Tweet from Adrienne at The Sunday Girl. I've seen a lot of conversation recently with bloggers saying they are always happy to support fellow bloggers and their sponsored content, liking the Instagram post with #AD or clicking their affiliate links to make purchases. Whilst on the one hand I do not personally believe in blindly 'liking' posts because they are #ADs, I don't actively ignore or avoid them because they are and support their right to and ability to earn a living by why are others not? We are all subject to and 'guilty' of advertising, whether it's the supermarket carrier bag you use, car you drive or that swanky designer handbag you're swinging on your arm. As I sit and type and look around my lounge I can see 'advertising' from Fortnum & Mason, Disney, Apple, Kate Spade and much more. In this instance this advertising is for free but for some reason when bloggers, influencers or whatever you choose to call them are openly advertising we are calling them out for all manner of reasons. Becky Bedbug recently tweeted an affiliate link to a rather fabulous leopard print bomber from Marks and Spencer which I subsequently purchased by clicking her affiliate link and thus crediting a little commission (and if my understanding is correct affiliate links earnings are small in many cases) into Becky's account and I have no problem with that. Becky effectively did some personal shopping for me. She hadn't purchased it herself (as far as I'm aware) and beyond expressing that she thought it was nice was still advertising Marks and Spencer and that 'advertisement' led to my making a purchase. M&S was paid, why shouldn't Becky have a little bit of that action because it's highly unlikely I wouldn't have made that purchase unless I'd seen that tweet. The issue really seems to be a sense of distrust. Your favourite blogger has made the big leagues and has 'changed' and instead of the budget brands they once used it's now all high and luxury that you perhaps cannot afford, perhaps 'every' blog post is sponsored. If you no longer enjoy the blog or trust what they're saying why are still reading? Surely no matter whether the content is paid for or not their voice is not one you trust? Of course if a vegan blogger publishes a sponsored post talking about how great a certain meat product is then you have reason to doubt their ethics but is there really reason to be suspicious of a blogger because they are paid to talk about certain brands or products? Just because a blogger chooses to purchase for themselves budget products can they not have a 'paid for' opinion about a higher end brand or vice versa? I have a post coming up shortly which features a gifted mascara that I love but having seen the price when I went to (affiliate) link it I was shocked and know that I don't expect I will repurchase. I will speak of that in the post but nonetheless I still love that higher end mascara as much as the budget one I am using and will be more likely to repurchase. I don't believe that makes my opinion or review any less valid or honest. In blogging circles I'm a small fish but I am lucky enough that I have a good relationship with brands and PRs and receive products 'for free' (if free is photographing, testing, writing about). Some I like, some I don't but I also give products a more thorough testing process when gifted, those purchased myself I can often dislike and cast aside immediately when us I'm sure many of us know it can often be after the second or tenth use/day/week when we find what works or really doesn't and I'm more likely to experiment with a product that has been sent to me. Similarly I know many fashion bloggers are criticised for featuring products they have subsequently sold on the likes of Depop or perhaps the item is never seen again. As I say I'm small fry and if you could see even my stash of beauty products I can only begin to wonder what comes through the big hitters doors and sometimes despite liking or loving a product I will pass on to friends and family so it doesn't gather dust or expire. The question, more so I imagine in fashion blogging circles is the ethics of selling clothing you have been gifted but if they have served their purposes isn't it your right to choose what to do with your belongings? How many people work in stores and have used their discounts to the benefit of friends, family or to financially benefit them? The are certain products that I don't have to purchase for myself, usually skincare, because I receive enough to cover my needs. Readers could suggest I only use things I've been given by the brand but wouldn't it be more distrustful for me to buy products to appease an audience? And as I mentioned above, just because a product no longer appears on the blog nor makes an appearance in an empties post doesn't mean it wasn't one I loved just perhaps it went on to a better whilst I did move on to the next product. I'm not perfect and nor is every blogger, I have my niggles too. I can't stand LIKEtoKNOW.it. It drives me nuts and doesn't really work 'for me'. Often I'll click a photo to see where something is from and there isn't any tagged information unless I like it and receive the subsequent email. 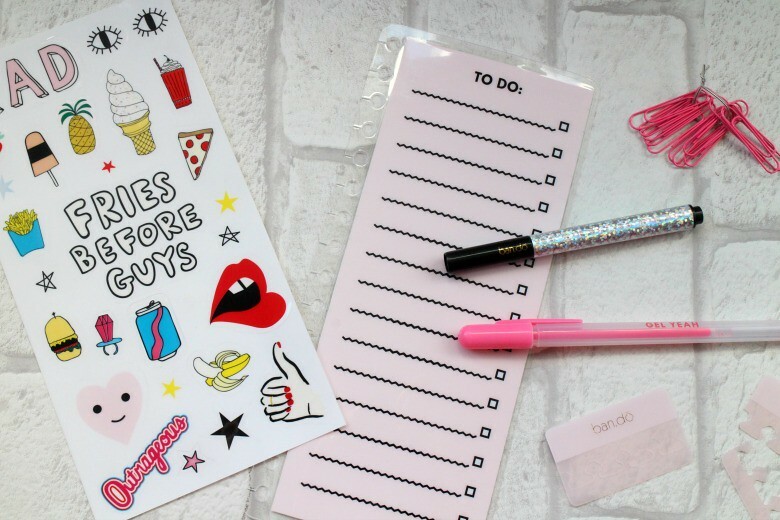 By the time the email comes through I often hit delete because I've lost interest or suspect it's out of my budget range anyway but I completely understand why bloggers use it. I know it is frustrating when a blogger shows an item of clothing and say 'links below' or I've 'tweeted a link' and you're screaming just tell me its from ASOS because they want to affiliate link it and earn money from however many people will make a purchase based on their recommendation by why shouldn't they? I'm sure it's easier than replying to every tweet or comment asking the same thing (and how often do bloggers ask where something is from in instances when ALL THE INFO IS THERE!). These activities do not they are money hungry, not that I see any shame from wanting to earn a good living, and I'm not sure why bloggers must always be the individuals that are out of pocket and deemed to be taking advantage of their audience unless they truly are being deceptive if so I return to my earlier point. If you feel they are then remove them from social media. Yes there are 'shady' bloggers in the same way there are shady lawyers or crooked accountants and I too get frustrated when little old me receives a product and another blogger suddenly talks of how they popped into Boots because they had to pick up 'Product X' and you are sure they're on the same press list as you are or you read 'sponsored post' on one blog and on the other they are not declaring as such but let's not judge every blogger just because some do earn a living from their jobs. You wouldn't do yours for free and I'm sure come appraisal time are requesting a pay review if you've been given additional duties. If you don't trust a blogger then unfollow but don't simply mistrust them because they are speaking about a product they are paid to do. Remember next time you Instagram your Starbucks coffee that is the same thing. The only difference is you paid them to advertise not the other way around. I'd love to know your thoughts on the topic. Sometimes I wonder whether it is a jealousy thing, I really don't get it. Don't get me wrong, I often envy other bloggers as I rarely get sent things, but then my blog isn't very topic specific. I don't really blog about fashion or beauty as it doesn't interest me and lets face it, they tend to be the niches that send out the products for review. But I would be wrong if I were to start writing about those things all the time just for the products as it wouldn't be a fair review that is true to my life but I can still have an opinion on it so the odd review would be justified I feel. I tend to write about the things I have been doing and places I've visited but I always make sure I'm honest as there is nothing worse than hearing how amazing something is, you pay out for it yourself and are bitterly disappointed. Maybe that is why people become so anti bloggers advertising things but hey, if everyone was open and honest in the first place wouldn't it be better all round? I know what you mean. 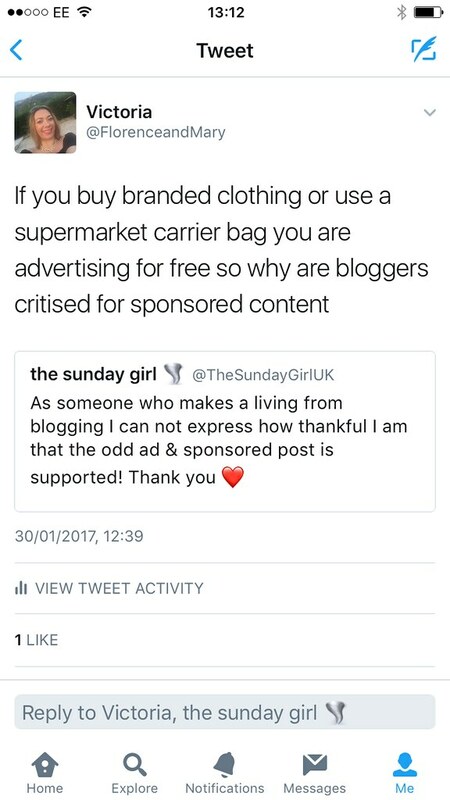 I hate the 'you're jealous' argument and as you say we all envy others at times but it's the bitterness and expectation being 'just a blogger' you should be held to different rules; no ones boycotting certain websites that can use affiliate links without a need to disclose! Even I who receive so much look at other bloggers and say 'oh I didn't get sent that' but then rational thinking kicks in and I acknowledge they have a bigger following than me and I certainly don't feel any ill towards them. 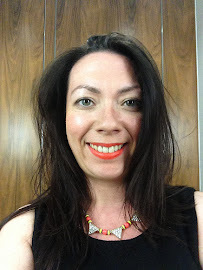 As you say just because something isn't necessarily your niche it doesn't mean if you've just been on holiday and used a fabulous SPF you can't share it or maybe you stumbled across a lipstick and it was a hit as much as a recent event or museum exhibition. Agree there is a lot and perhaps 'too much' positivity from bloggers in some instances and being fair when people want to know both sides to help them make an opinion. I could've glossed over the buggy space issue in my Center Parcs review because aside from having to move the buggy every time I wanted to go outside for a fag it's not something that really concerns me or would in the future but it was relevant and something for consideration for other readers. I do agree the 'everything is great' is probably a lot to do with why there is criticism and skepticism especially when a post is paid for but because something is great, or the writer thinks so and says as much isn't necessarily cause for concern unless you distrust the blog on the whole. Thanks Ali, good to know! I totally agree with this - I don't know why it's always bloggers that are picked on in this way and expected to work for free or for the love of it. Do we criticise Adele for selling her music and not sharing it for free because she loves to sing? No, and why should we! All of these people who complain about bloggers earning money are getting paid to do their jobs too, and I'm pretty sure they wouldn't be turning up on a Monday if there wasn't a pay cheque coming at the of the month! I'm a small fry blogger in comparison to most and it's my full time job that pays the bills, not my blog, but I have nothing against others earning a living from blogging - I admire them and I know it's hard work! I know it really surprises me, especially when it's other bloggers, half wanting to become 'full time' themselves - I'm pretty sure they would't be doing it for free. I think everyone agrees it's the vague understand of what is required with disclosure in addition to those who just blatantly ignore it.